Radiant heating and cooling saves time, energy, money, and is more comfortable than traditional forced-air methods. 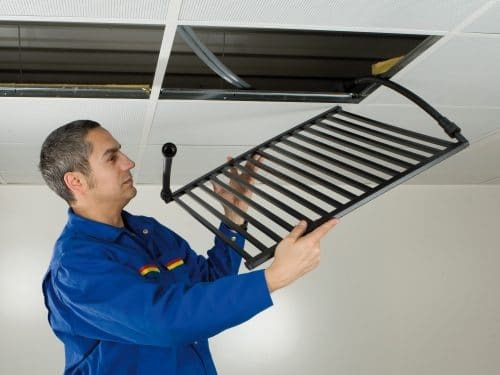 In place of using traditional forced air methods, Aquatherm Black System provide the comfort of radiant heating and cooling comfort in a quiet, efficient radiant system. Aquatherm Black System uses a series of wall or ceiling panels to heat and cool a space using radiant energy. The system’s flexible layout makes it easy to use in offices, hospitals, hotels, apartments, and many other applications. Aquatherm Black System is available on a limited application, as-approved basis in the United States and Canada. For information about this product and potential applications of it, please contact Clifford Holmes.